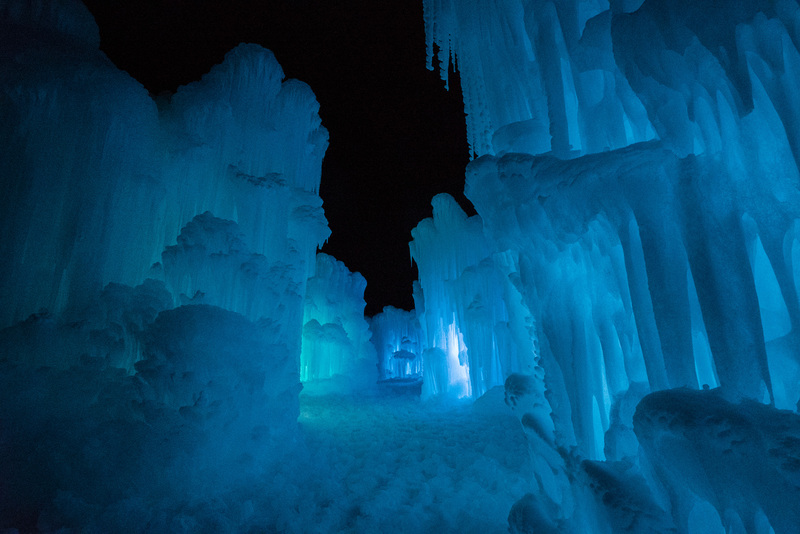 The stunning Ice Castles have been part of Edmonton’s winter landscape for the past four years. The structure is built entirely by hand and crafted only from snow and ice. The glacial blue ice is a result of the light refracting on the densely packed ice. An integrated sprinkler system mists the structure to maintain the castle edifice, freezing the fairy-tale magic in place. The edifice serves as an enchanting reminder that there is beauty and magic to be found in Alberta’s longest and most maligned season. 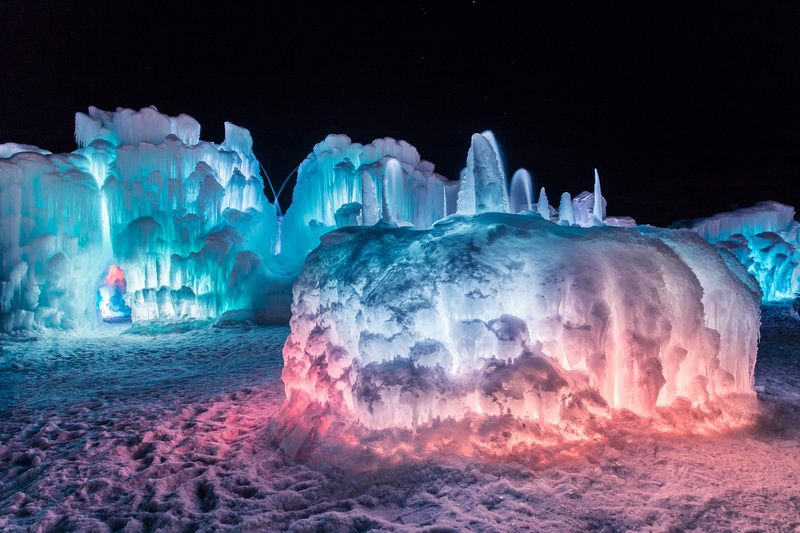 Built entirely by hand and crafted only from snow and ice, the stunning Ice Castles have been part of Edmonton’s winter landscape for the past four years as part of the long-standing Silver Skate Festival held each February. Now open for 2019, the castle serves as an enchanting reminder that there is beauty and magic to be found in Alberta’s longest and most maligned season. Weighing in at over 9 million kilograms of icicles cultured specially for the occasion, the massive structure covers nearly an acre of the city’s riverside Hawrelak Park. The glacial blue ice—a result of the light refracting on the densely packed ice—juts up from the snow-packed floors in sculptural towers and sheer faces of ice embedded with LEDs. 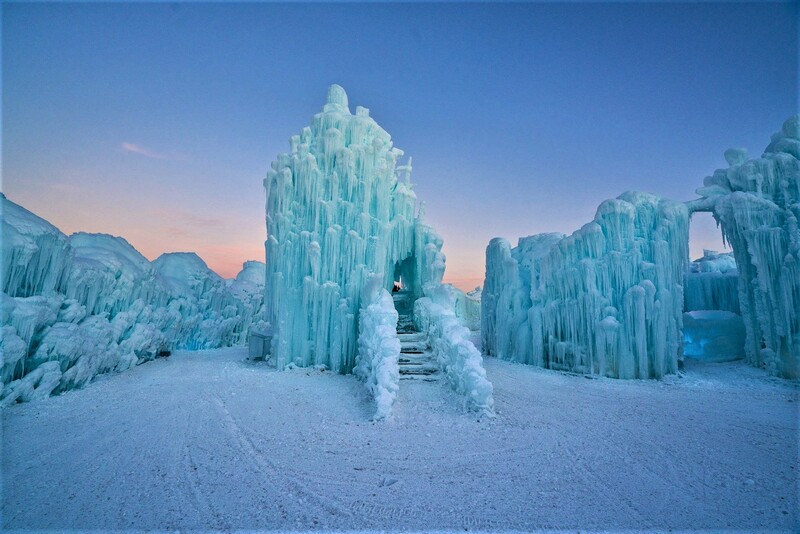 It’s all to sparkling effect that “brings fairy tales to life”, as put forth by the Ice Castles team. Wandering through the labyrinthine tunnels, one almost expects to spot the Narnian Ice Queen—or even become her. Indeed, there is a sculpted throne to sit upon, for which snow pants or a long coat are advised. If you prefer your ice in a less regal form, there are also three slides to slip down inside the castle walls. 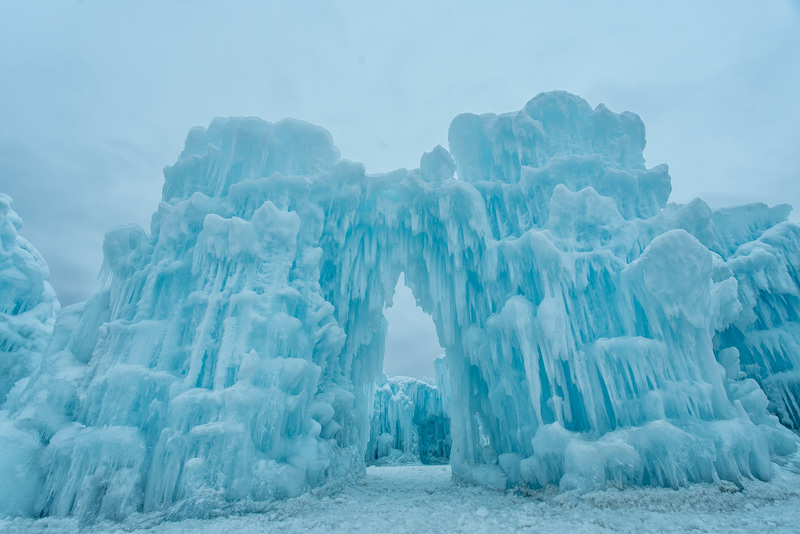 The Edmonton location is one of six Ice Castles in North America, and the only one in Canada. Water sourced from the nearby North Saskatchewan River is cleaned and filtered before being grown in ice fields by icicle farmers, then harvested, placed by hand in its destined spot and frozen into position. An integrated sprinkler system mists the structure to maintain the castle edifice, freezing the fairy-tale magic in place. Around 12,000 icicles are created every day during the two-month construction period, which calls on the skills of the team of 20–40 “ice artisans”. Come end of the season, when the spring thaw begins to weaken the structure, it is closed to the public and destroyed to avoid temptation and possible injury to trespassers. The enchantment is complete when the water is de-chlorinated and returned to the North Saskatchewan watershed—until next year. 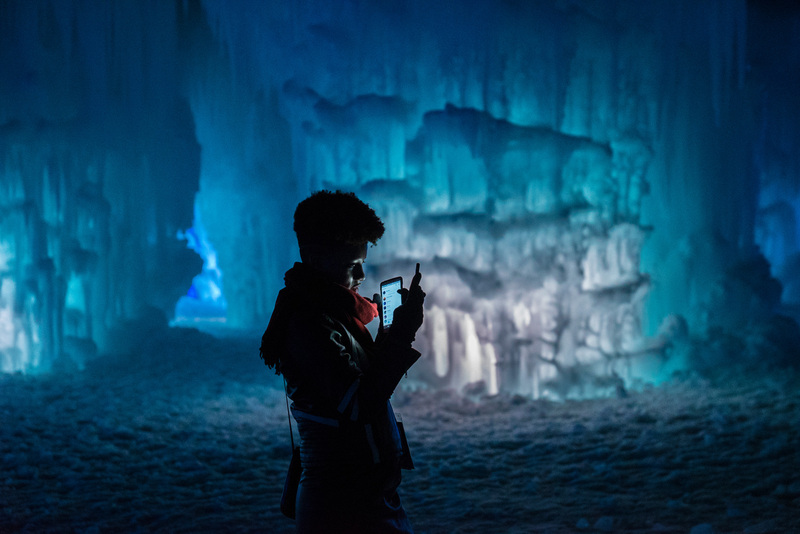 Edmonton Ice Castles is open daily (except Tuesdays) and will remain open for as long as the weather stays cold enough to sustain it, predicted to be mid-March. 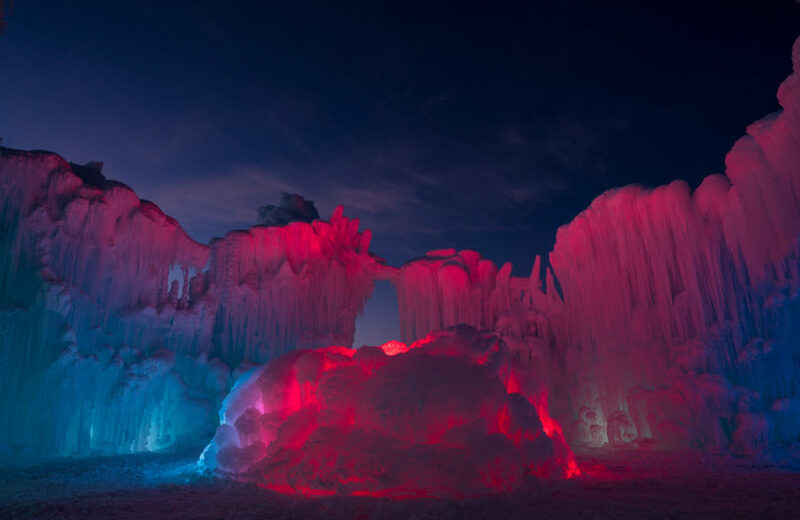 Photos courtesy of Ice Castles.